Note: This filtered view shows only those service requests from the underlying dataset that are not marked as duplicates. -- This dataset contains all open 311 reports of one or more lights out on a wooden pole in the alley and all completed requests since January 1, 2011. If two requests regarding the same address are made within 30 calendar days of each other, the newest CSR is automatically given the status of “Duplicate (Open)”. Once the alley light is repaired, the CSR status will read “Completed” for the original request and “Duplicate (Closed)” for any duplicate requests. Data is updated daily. Note: This filtered view shows only those service requests from the underlying dataset that are not marked as duplicates. -- All open garbage cart requests made to 311 and all requests completed since January 1, 2011. The City of Chicago provides heavy-duty plastic 96-gallon garbage carts to single-family residences and apartment buildings of four units or less. Residents may request new carts when none are present, or replacement carts for ones which have gone missing or been damaged. 311 sometimes receives duplicate requests for garbage carts. Requests that have been labeled as Duplicates are in the same geographic area and have been entered into 311’s Customer Service Requests (CSR) system at around the same time as a previous request. Duplicate reports/requests are labeled as such in the Status field, as either "Open - Dup" or "Completed - Dup." Data is updated daily. Note: This filtered view shows only those service requests from the underlying dataset that are not marked as duplicates. -- All open graffiti removal requests made to 311 and all requests completed since January 1, 2011. The Department of Streets & Sanitation's Graffiti Blasters crews offer a vandalism removal service to private property owners. Graffiti Blasters employ "blast" trucks that use baking soda under high water pressure to erase painted graffiti from brick, stone and other mineral surfaces. They also use paint trucks to cover graffiti on the remaining surfaces. Organizations and residents may report graffiti and request its removal. 311 sometimes receives duplicate requests for graffiti removal. Requests that have been labeled as Duplicates are in the same geographic area and have been entered into 311’s Customer Service Requests (CSR) system at around the same time as a previous request. Duplicate reports/requests are labeled as such in the Status field, as either "Open - Dup" or "Completed - Dup." Data is updated daily. Note: This filtered view shows only those service requests from the underlying dataset that are not marked as duplicates. -- The Chicago Department of Transportation (CDOT) oversees the patching of potholes on over 4,000 miles of arterial and residential streets in Chicago. CDOT receives reports of potholes through the 311 call center and uses a computerized mapping and tracking system to identify pothole locations and efficiently schedule crews. One call to 311 can generate multiple pothole repairs. When a crew arrives to repair a 311 pothole, it fills all the other potholes within the block. Pothole repairs are generally completed within 7 days from the first report of a pothole to 311. Weather conditions, particularly frigid temps and precipitation, influence how long a repair takes. On days when weather is cooperative and there is no precipitation, crews can fill several thousand potholes. If a previous request is already open for a buffer of 4 addresses the request is given the status of "Duplicate (Open)". For example, if there is an existing CSR for 6535 N Western and a new request is received for 6531 N Western (which is within four addresses of the original CSR) then the new request is given a status of "Duplicate (Open)". Once the street is repaired, the status in CSR will read “Completed” for the original request and "Duplicate (Closed)" for any duplicate requests. A service request also receives the status of “Completed” when the reported address is inspected but no potholes are found or have already been filled. If another issue is found with the street, such as a “cave-in” or “failed utility cut”, then it is directed to the appropriate department or contractor. Data Owner: Transportation. Time Period: All open requests and all completed requests since January 1, 2011. Frequency: Data is updated daily. Note: This filtered view shows only those service requests from the underlying dataset that are not marked as duplicates. -- All open sanitation code complaints made to 311 and all requests completed since January 1, 2011. 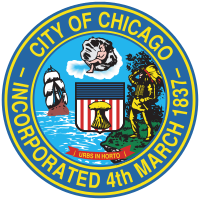 The Department of Streets and Sanitation investigates and remedies reported violations of Chicago’s sanitation code. Residents may request service for violations such as overflowing dumpsters and garbage in the alley. 311 sometimes receives duplicate sanitation code complaints. Requests that have been labeled as duplicates are in the same geographic area as a previous request and have been entered into 311’s Customer Service Request (CSR) system at around the same time. Duplicate complaints are labeled as such in the status field, as either "Open - Dup" or "Completed - Dup." Data Owner: Streets and Sanitation (http://www.cityofchicago.org/content/city/en/depts/streets.html). Time Period: January 1, 2011 to present. Related Applications: 311 Service Request Status Inquiry (https://servicerequest.cityofchicago.org/web_intake_chic/Controller?op=createsrquery2) and Report Sanitation Code Complaint (https://servicerequest.cityofchicago.org/web_intake_chic/Controller?op=locform&invSRType=SCB&invSRDesc=Sanitation%20Code%20Violation&locreq=Y&stnumreqd=Y). Note: This filtered view shows only those service requests from the underlying dataset that are not marked as duplicates. -- All open reports of "Street Lights - All Out" (an outage of 3 or more lights) made to 311 and all requests completed since January 1, 2011.The Chicago Department of Transportation (CDOT) oversees approximately 250,000 street lights that illuminate arterial and residential streets in Chicago. CDOT performs repairs and bulb replacements in response to residents’ reports of street light outages. Whenever CDOT receives a report of an “All Out” the electrician assigned to make the repair looks at all the lights in that circuit (each circuit has 8-16 lights) to make sure that they are all working properly. If a second request of lights out in the same circuit is made within four calendar days of the original request, the newest request is automatically given the status of “Duplicate (Open).” Since CDOT's electrician will be looking at all the lights in a circuit to verify that they are all working, any “Duplicate (Open)” address will automatically be observed and repaired. Once the street lights are repaired, the status in CSR will read “Completed” for the original request and “Duplicate (Closed)” for any duplicate requests. A service request also receives the status of “Completed” when the reported lights are inspected but found to be in good repair and functioning; when the service request is for a non-existent address; or when the lights are maintained by a contractor. Data is updated daily. Note: This filtered view shows only those service requests from the underlying dataset that are not marked as duplicates. -- This dataset contains all open 311 reports of one or two lights out on metal poles on a residential or arterial street and all completed requests since January 1, 2011. Whenever CDOT receives a report of a street light outage, the electrician assigned to make the repair looks at all the lights in a group (circuit) to make sure that they are working properly. If two requests regarding the same group are made within 30 calendar days of each other, the newest CSR is automatically given the status of “Duplicate (Open).” Since the electrician will be looking at all the lights in a group to verify that they are all working the “Duplicate (Open)” address will also be observed and repaired. Once the street lights are repaired, the CSR status will read “Completed” for the original request and “Duplicate (Closed)” for any duplicate requests. Data is updated daily. Note: This filtered view shows only those service requests from the underlying dataset that are not marked as duplicates. -- All open tree debris removal requests made to 311 and all requests completed since January 1, 2011. Large piles of branches or bushes may be picked up by the Department of Streets and Sanitation. 311 sometimes creates duplicate requests for tree debris removal. When there is an open tree debris request, a duplicate request is created when the exact same address and the exact same service request type are used. Streets and Sanitation responds to the initial request opened and closes the duplicates. A forestry "Clam" is the name of the vehicle the Forestry Bureau deploys to collect tree debris. Request Tree Debris Removal (https://servicerequest.cityofchicago.org/web_intake_chic/Controller?op=locform&invSRType=SEL&invSRDesc=Tree%20Debris&locreq=Y). Note: This filtered view shows only those service requests from the underlying dataset that are not marked as duplicates. -- All open and completed tree trim requests made to 311 since January 1, 2011. The Department of Streets and Sanitation maintains all trees growing in the public way and performs regular maintenance trimming in response to 311 requests. Crisis trimming is performed on an emergency basis in response to hazardous conditions such as broken or hanging branches. Requests that have been labeled as Duplicates are in the same geographic area and have been entered into 311’s Customer Service Requests (CSR) system at around the same time as a previous request. Duplicate requests are labeled as such in the Status field, as either "Open - Dup" or "Completed - Dup." Data is updated daily. This API is based on the Alternative Fuel Locations (https://data.cityofchicago.org/d/f7f2-ggz5) dataset. List of locations in Chicago where alternative vehicle fuels are available. For more detailed descriptions of fields, see http://developer.nrel.gov/docs/transportation/alt-fuel-stations-v1. List of locations in Chicago where alternative vehicle fuels are available. For more detailed descriptions of fields, see http://developer.nrel.gov/docs/transportation/alt-fuel-stations-v1 or https://data.cityofchicago.org/developers/docs/alternative-fuel-locations. This dataset contains all current and active business licenses issued by the Department of Business Affairs and Consumer Protection. This dataset contains a large number of records /rows of data and may not be viewed in full in Microsoft Excel. Therefore, when downloading the file, select CSV from the Export menu. Open the file in an ASCII text editor, such as Notepad or Wordpad, to view and search. APPLICATION TYPE: 'ISSUE' is the record associated with the initial license application. 'RENEW' is a subsequent renewal record. All renewal records are created with a term start date and term expiration date. 'C_LOC' is a change of location record. It means the business moved. 'C_CAPA' is a change of capacity record. Only a few license types my file this type of application. 'C_EXPA' only applies to businesses that have liquor licenses. It means the business location expanded. LICENSE STATUS: 'AAI' means the license was issued. To identify the owner of a business, you will need the account number or legal name. Current active liquor and public place of amusement business licenses issued by the Department of Business Affairs and Consumer Protection in the City of Chicago. This dataset contains a large number of records/rows of data and may not be viewed in full in Microsoft Excel. Therefore, when downloading the file, select CSV from the Export menu. Open the file in an ASCII text editor, such as Notepad or Wordpad, to view and search. APPLICATION TYPE: 'ISSUE' is the record associated with the initial license application. 'RENEW' is a subsequent renewal record. All renewal records are created with a term start date and term expiration date. 'C_LOC' is a change of location record. It means the business moved. 'C_CAPA' is a change of capacity record. Only a few license types may file this type of application. 'C_EXPA' only applies to businesses that have liquor licenses. It means the business location expanded. Beginning July 1, 2017, pharmaceutical representatives who market or promote pharmaceuticals within the City of Chicago for more than fifteen calendar days per year are required to obtain a Pharmaceutical Representative License, under an ordinance passed by City Council in the fall of 2016. Pharmaceutical representatives must complete an online education session at the time of initial application and then complete at least five hours per year of approved continuing education thereafter. When requested by the Commissioner of the Chicago Department of Public Health, pharmaceutical representatives also must disclose information related to the marketing or promotion of the pharmaceuticals, pharmacological classes, or categories of pharmaceuticals listed on the Chicago Department of Public Health website. For more information on the Pharmaceutical Representative License, see https://www.cityofchicago.org/city/en/depts/cdph/provdrs/behavioral_health/svcs/pharmaceutical-representative-license.html. City of Chicago Mental Health, Sexually Transmitted Infection (STI) Specialty, and Women Infant Children (WIC) clinic locations, hours of operation and contact information.